He’s no longer piloting Longhorn Chassis. Instead, he’s made the switch to Sweet-Bloomquist chassis. “Oh, he’s been helping me. I talked to him a little bit. My buddy Jared Landers, he kinda got us hooked up together there,” Kyle Bronson explained to RacingNews.co . Do you know when they’re going to be ready? 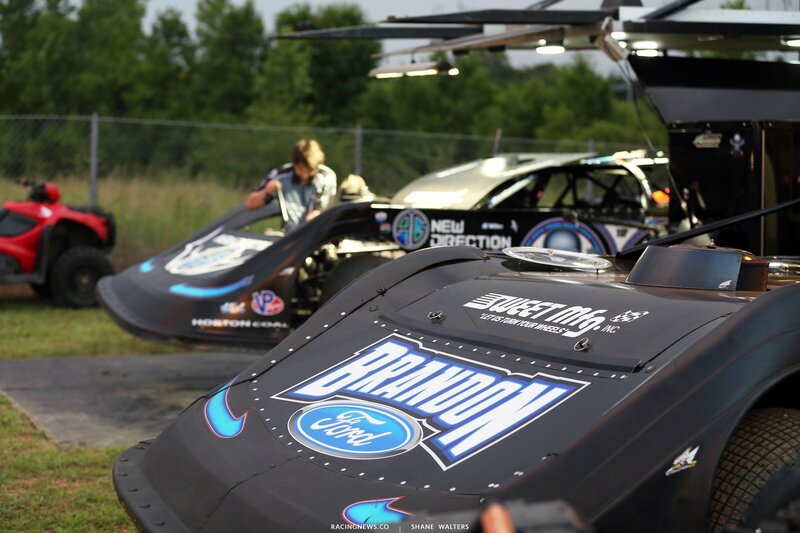 Kyle Bronson and Scott Bloomquist both run the Lucas Oil Late Model Dirt Series. In the weeks leading up to the announcement of the new deal, they began parking next to each other in the pit area. At Magnolia Motor Speedway, the 40B dirt late model unloaded with nose piece graphics to match the #0. He ran 2nd in his heat race. Unfortunately, he ended the feature event with a fire under the hood.